Living with a White Sofa + Kids. 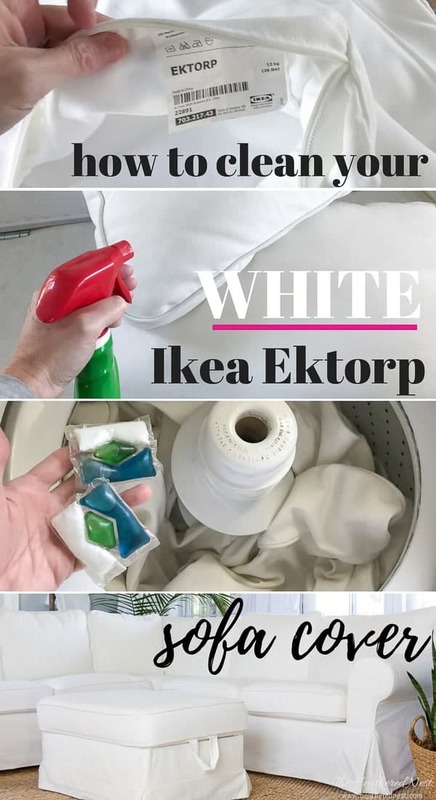 How to Clean the Ikea Ektorp Cover. White sofa with kids? Would you? Could you? Going out at midnight. In heels. And makeup. Drinking one (or four) too many. Dancing like a lunatic with your friends. On a bar. Maybe drunk dialing an ex. I don’t know. Choose your own adventure at this point. There are many ways this could end. My mom reads this blog though, so I’m not going to fill in any more blanks here. And you know what’s REALLY wild? Buying a white sofa when you have kids. And a pet. Or three. Yep. I’m a wild one. It didn’t break the bank. In fact, this sectional cost a fraction of what other similar sectional sofas we priced out (this one was under $1000). The entire thing is washable. When this cover gets completely nasty and unsalvageable, we can purchase a new cover for about $200. If I ever get sick of the white…which could happen…they make covers in lots of other colors/patterns. 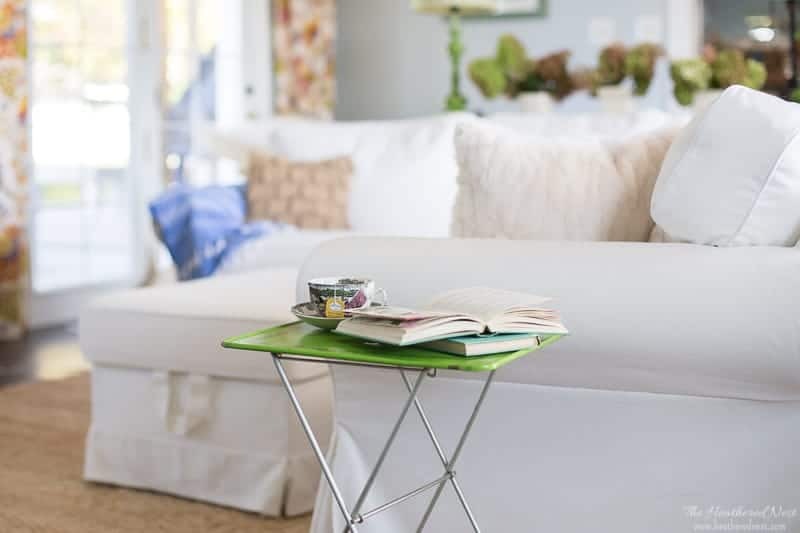 So if you’re not a stickler about these things, or you are a cooler mom or dad who is more fun and laid back than I, perhaps you should NOT consider a white sofa. But since this Ektorp sofa is such a great value, you may want to check out the other covers they have (i.e. anything but white ?). If you like the look but don’t have an Ikea nearby, Pottery Barn has a beautiful, and very similar sectional (though the price is higher). 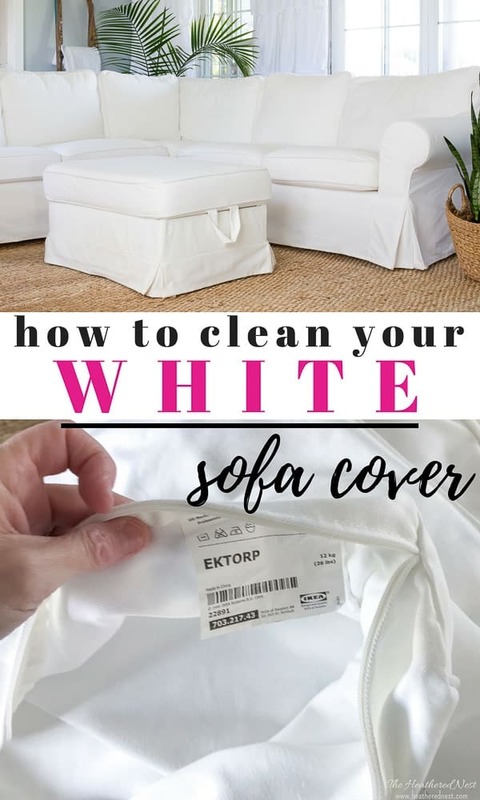 But if you’re like us, and you’ve already jumped on this crazy train with the whole white sofa decision, or you’re seriously considering the Ikea Ektorp sofa, then you may wonder about cleaning the cover and how (and if ) it actually works. And in my opinion, it works GREAT. I typically wash ours about 3-4 times a year. 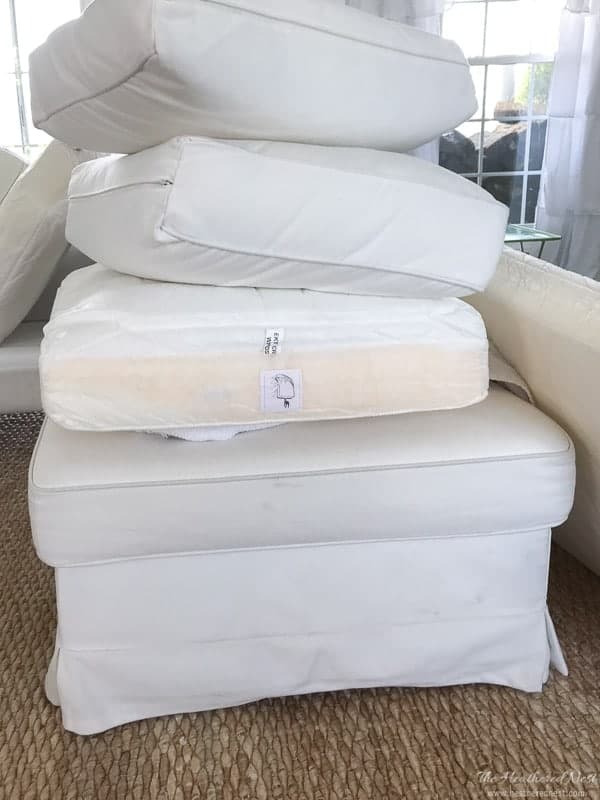 It’s not difficult to do at all, but it is a fairly time-consuming process…mostly because of having to un-stuff and re-stuff the covers on the cushions. And then the drying time (about an hour in the machine and then 5-7 hours on the line). 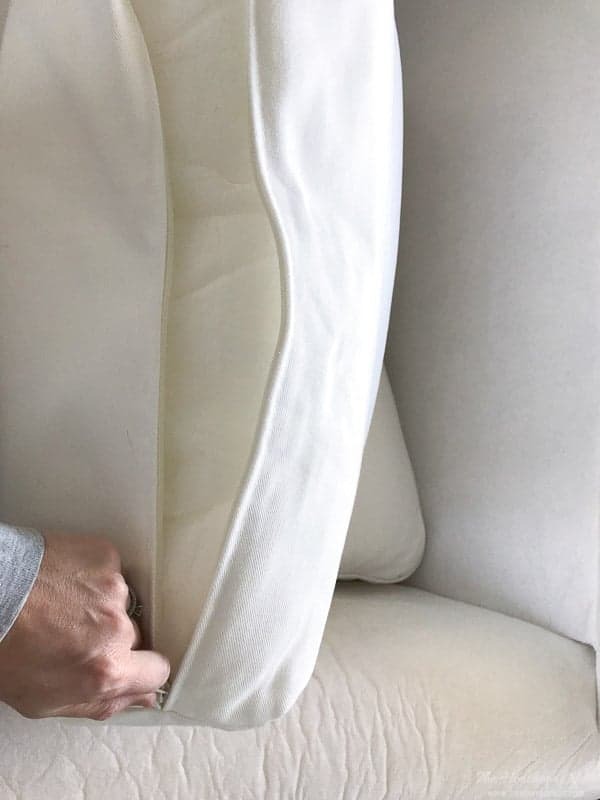 Here are all the details about the cleaning process I use for our Ektorp sofa covers! 1). 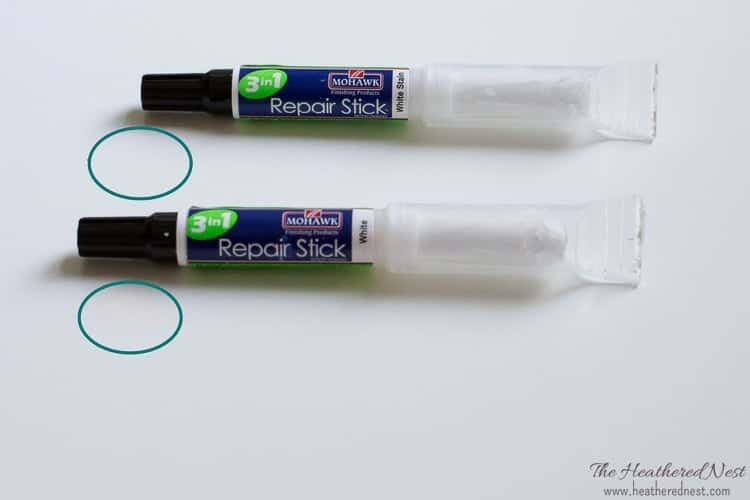 Spot treat all stains. 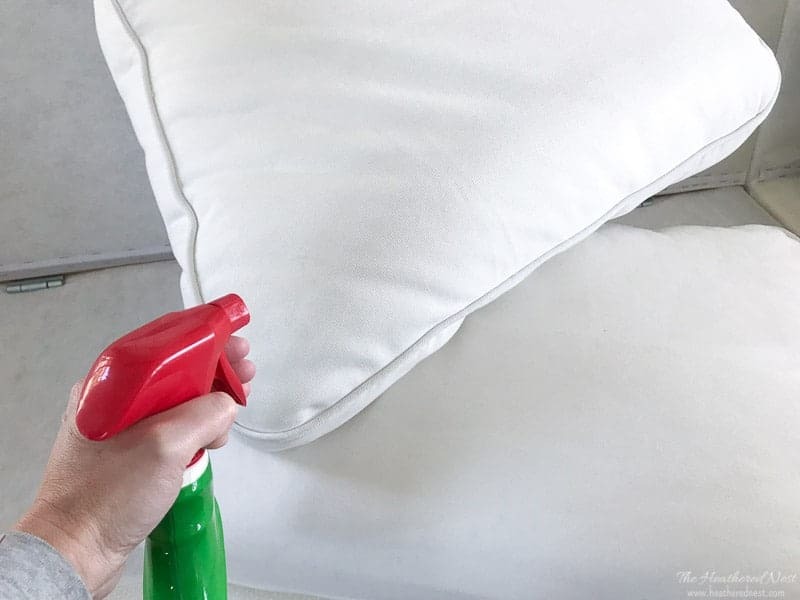 If you’re worried about the stain spray seeping into your cushions, then you can do this step AFTER removing the cushion covers, but I like to at least do some of the pre-treatment prior to taking off the covers because it’s easier to find the stains when the covers are still on the sofa. I personally use spray-n-wash to pre-treat stains. 2). 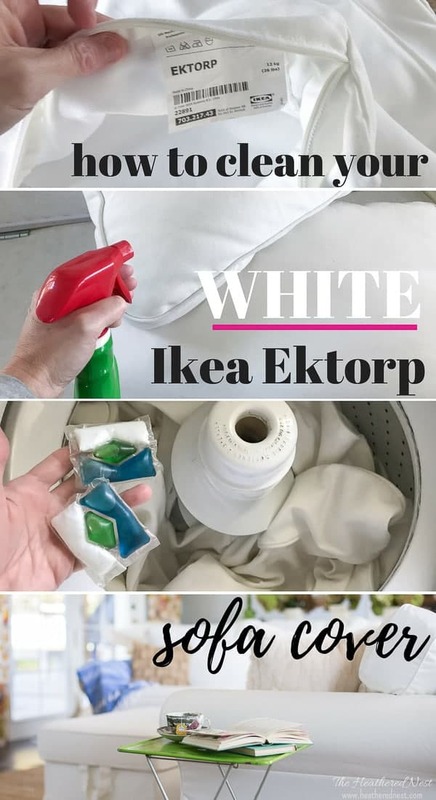 Remove Ektorp sofa covers. 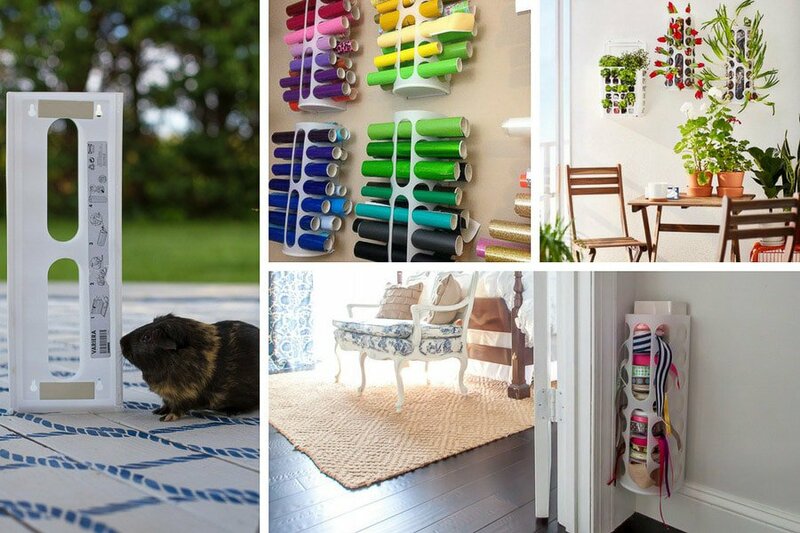 Time to unzip all your cushion covers and remove them. It’s super simple. Just unzip and pull them off. 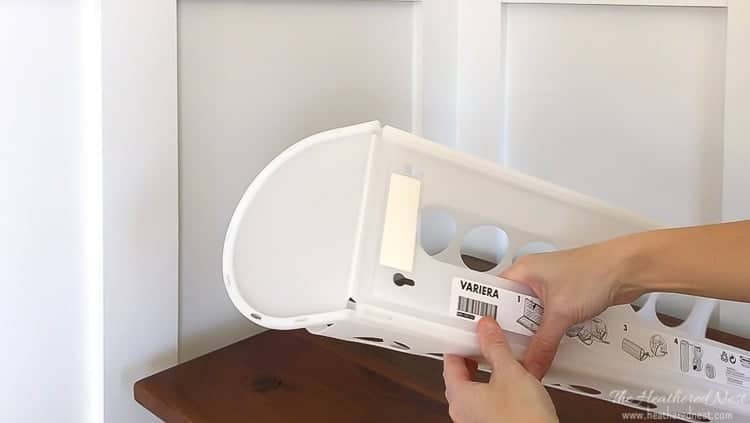 If you have the Ikea Ektorp ottoman, to remove the cover from the top, you’ll need to unscrew the feet on the bottom of the cover first. You can wash the cover for the Ektorp sofa frame as well if you want to. Just pull it off. Nothing to unzip. I use my regular, old school top-loading washing machine for this job. 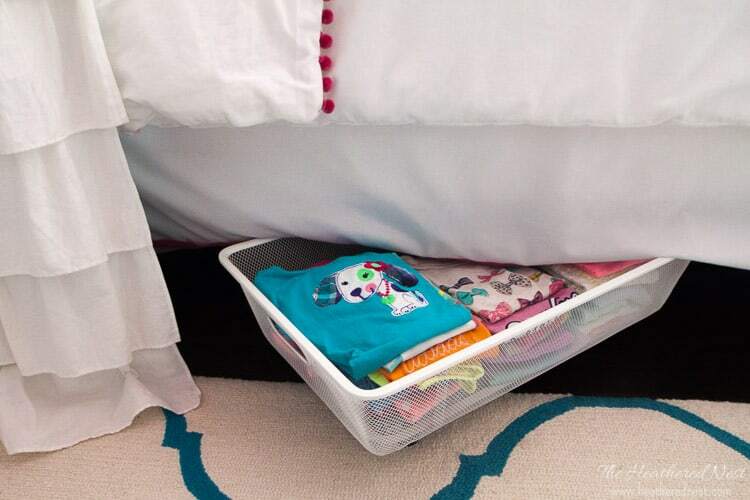 You’ll likely have to wash your covers in batches. 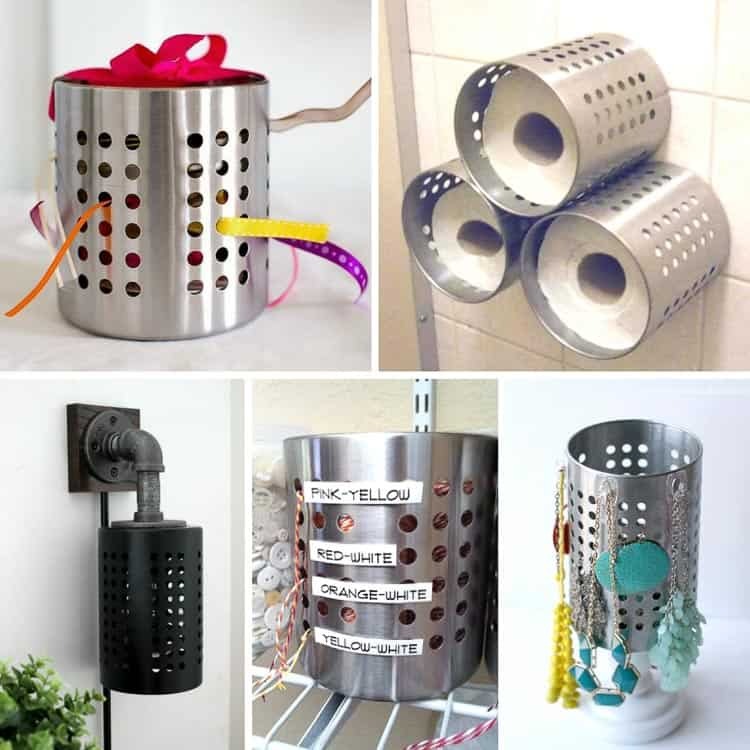 They will clean up best if your washing machine isn’t overstuffed. I wash each batch with two packs of this detergent which has a built-in stain booster/stain fighter. I add bleach as well. About 1/4 cup/load. 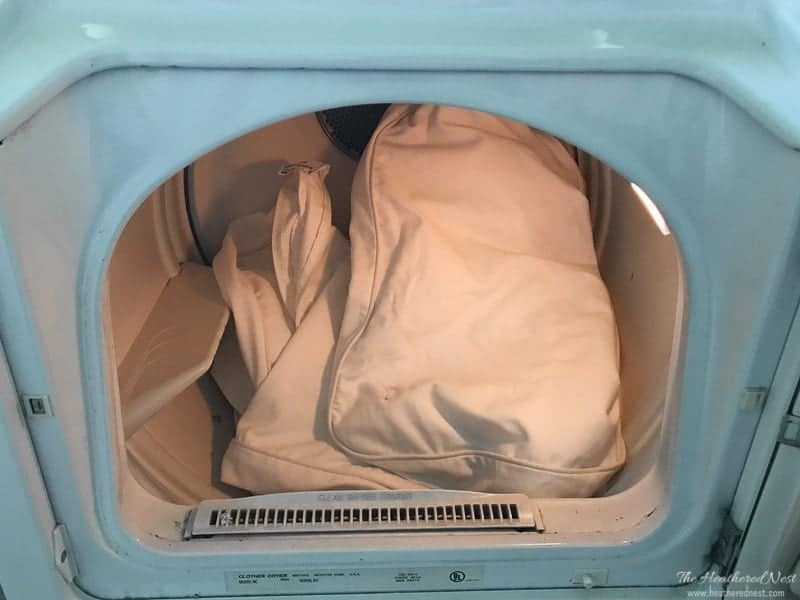 * If the covers are really grungy, then I would definitely pre-wash them as well, but just remember that you should treat EACH load of your covers in the exact same way so that they don’t come out looking differently. 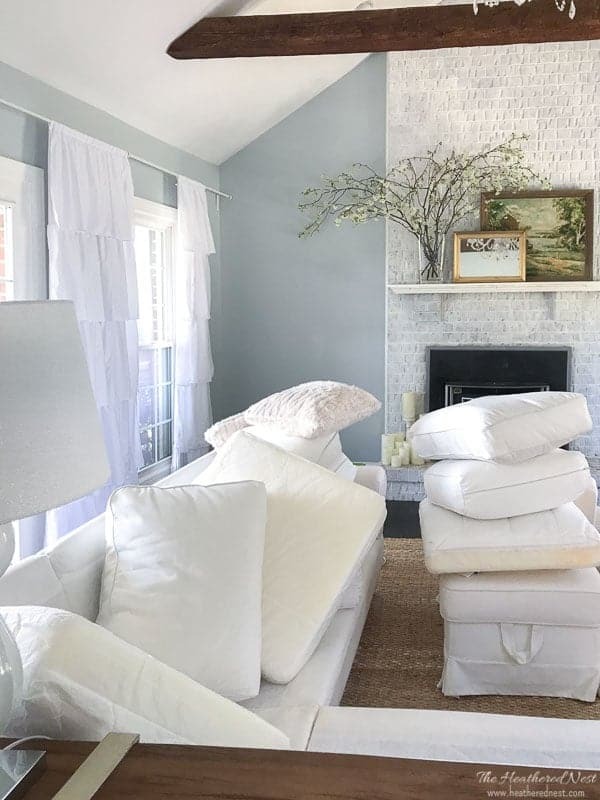 If you bleach one batch but not the other, or pre-wash one load overnight but not the other batch…you could end up with mismatched cushions, and that’s definitely NOT the look you are likely going for, right? 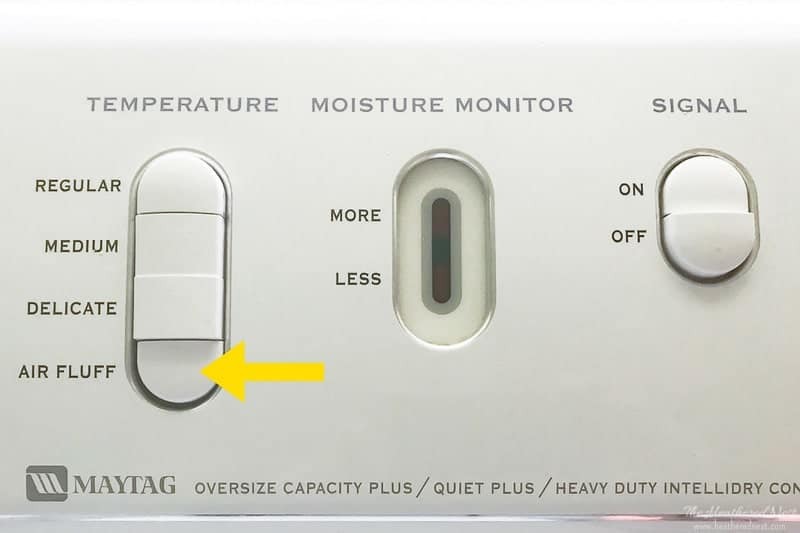 If you use heat, you’ll shrink the covers, and then they are a B-I-%^& to put back on. Trust me. I have a friend who did that once ?. 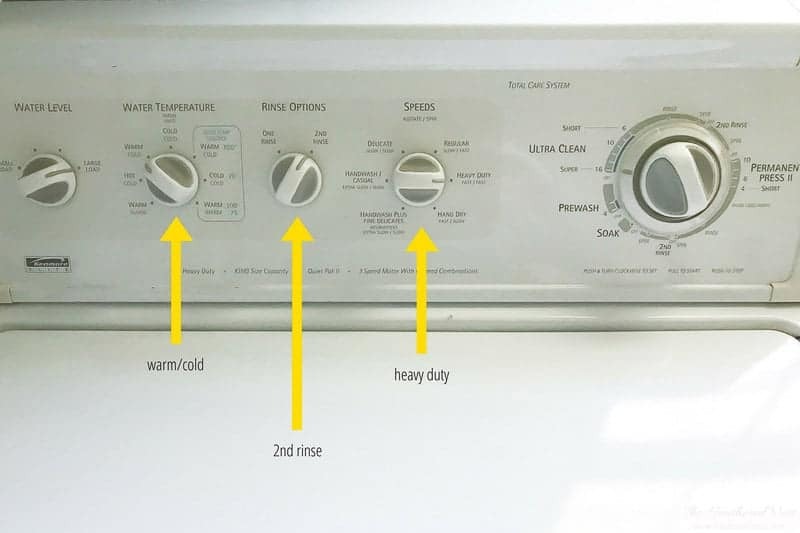 Just like with the washing phase, you’ll need to dry in batches so your machine is not overstuffed. 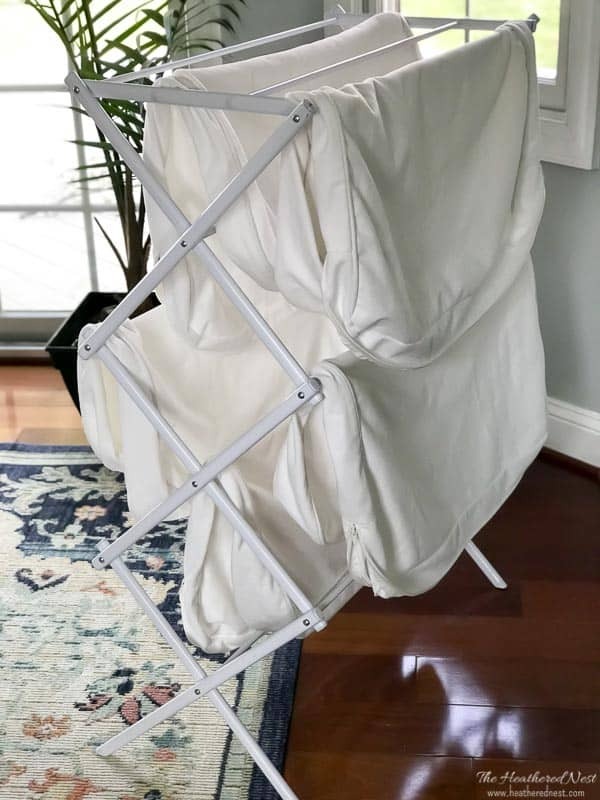 After running the cushions on air fluff for about an hour, I let them hang on my drying rack until they are completely dry. This is when I wish I had a clothesline outside. Or at least one more drying rack. 5). Done! Put your white sofa back together again. All that’s left to do is to re-stuff your covers back on your couch cushions again. We’ve had this Ikea Ektorp sofa for years now, and once it’s washed, it looks brand new again. 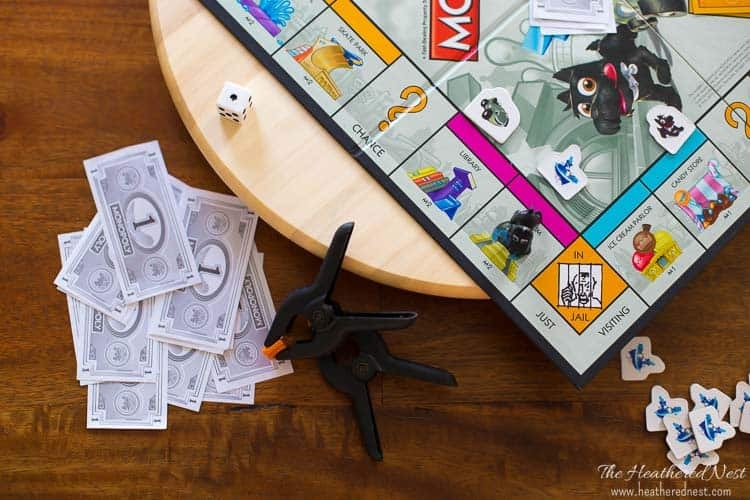 We’ve had guinea pig pee stains on there, dirt, grease…you name it. I don’t think I’ve had to deal with red wine or blood stains (yet), so I can’t attest to how those cleanup. 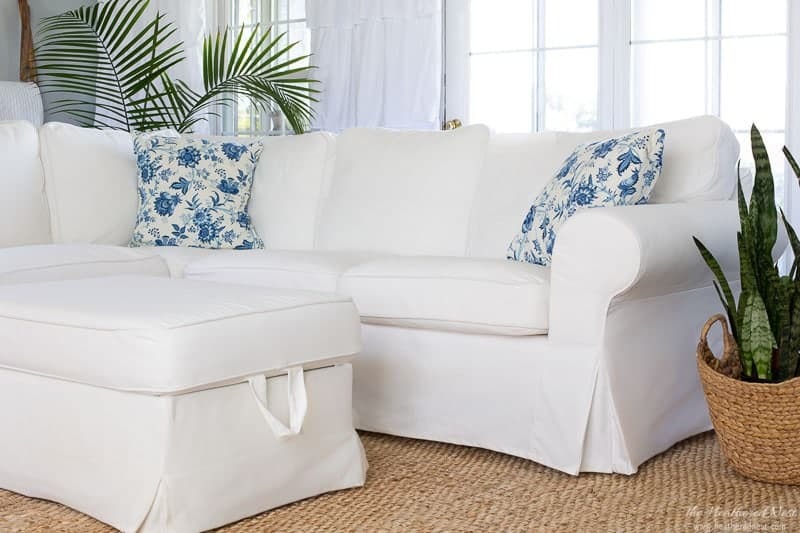 But I’ve been really impressed with how sturdy the white sofa cover is. No rips or tears or any negative effects of washing them that I’ve seen. I hope this has given you a little peace of mind if you’ve been considering buying a white sofa, but hadn’t pulled the trigger yet. I still love ours, and we’ve had white sofas in our home for over a decade now. 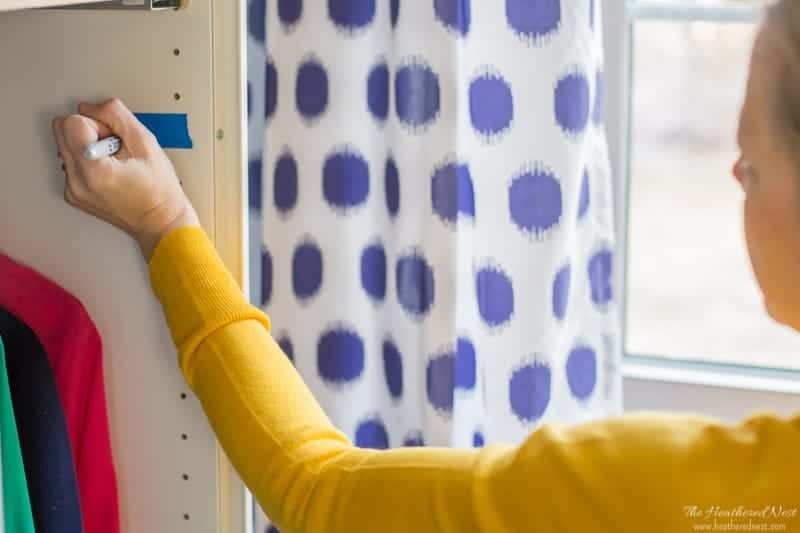 Having a removable, washable cover is the key. It says not to bleach my white covers. I washed them for the first time yesterday and the fronts and seats of the cushions are still grungy looking. Im so disappointed. 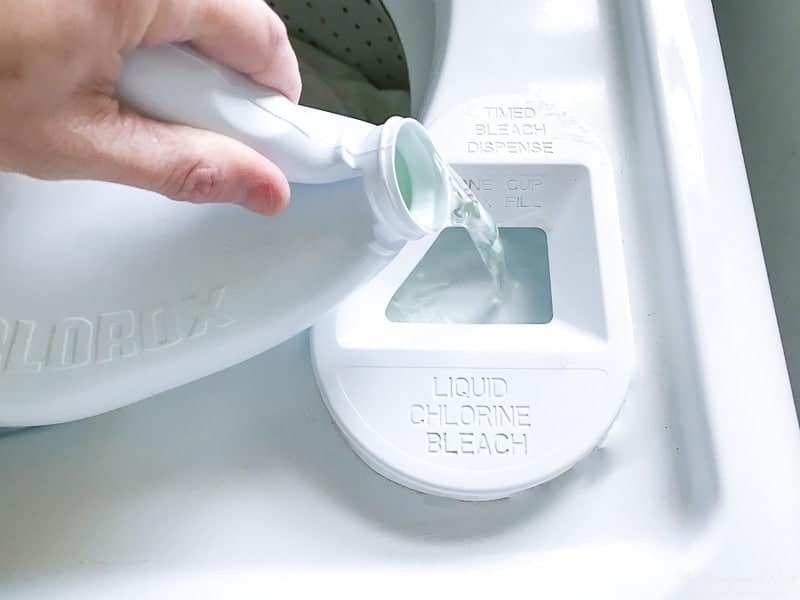 Do you use color safe bleach or straight up chlorine bleach? Im worried they will yellow. My mother used Mrs. Whites Blueing I think it was called on her nursing uniforms back in the day. I wonder if this would be a better option than the bleach. Hi Amanda! Well, I definitely bleach mine, and I use regular ol bleach. But I certainly don’t want you taking my word for it if your covers say not to, and ruining them!! Our couch gets some pretty good wear and tear and so if I just washed ours without the bleach, I’m pretty sure ours would stay dingy also. That’s an interesting product you’re talking about that your mom used! I have never heard of that. 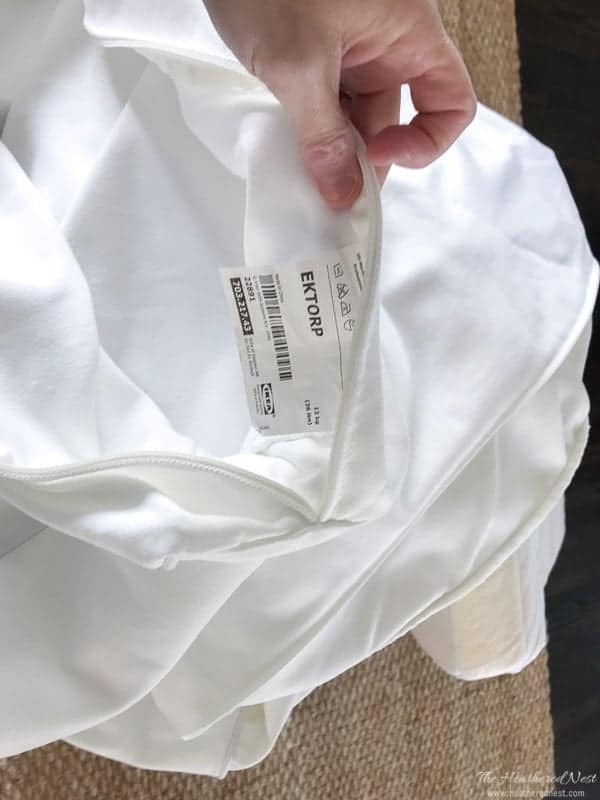 When I worked in the hospital and wore my lab coat every day, I used regular ol bleach on that, too (I’m probably not a great rules-follower when it comes to garment labels 😉 Good luck! 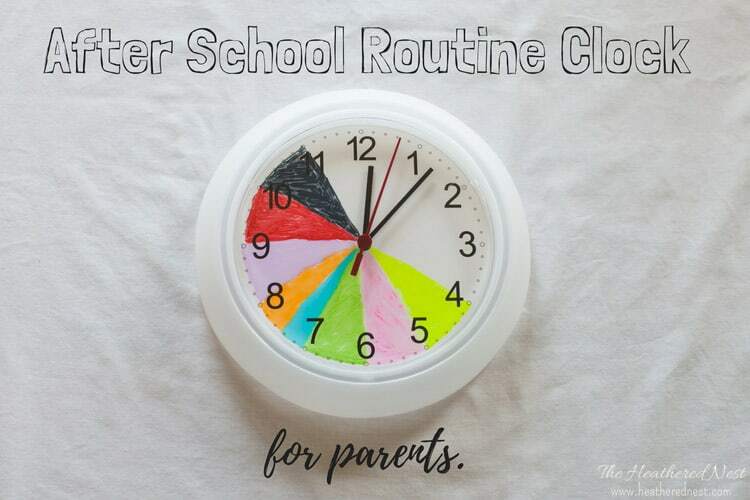 Hope you figure out a method that works well for your covers!! Hey Erica! 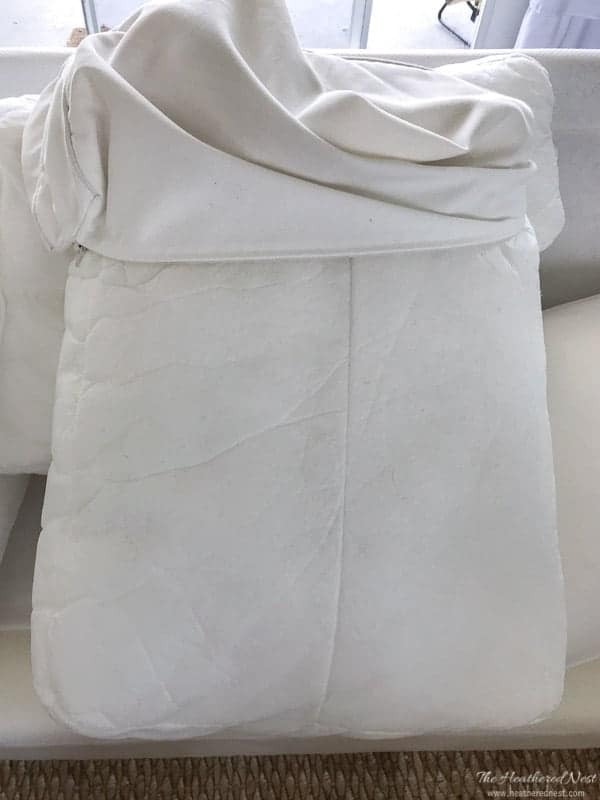 On the Ektorp, the sides and top do come off as part of the cover, so they can be pre-treated for stains and thrown in the wash as well :). Easy breezy. 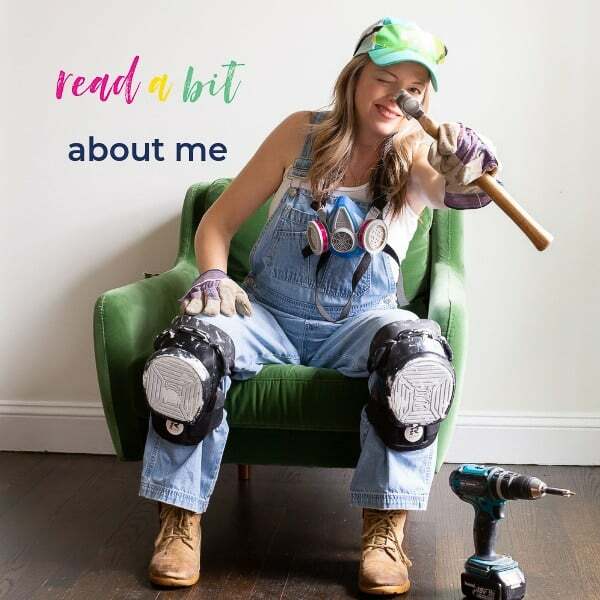 Thanks for this, timely article for me. I’ve been thinking for a while now about swapping our old red leather sofa and red fabric one for two white Ektorps and spare covers, but we have a black dog, two kitties, and two teenagers (and two guinea pigs!) so I didn’t think it could really work….!! 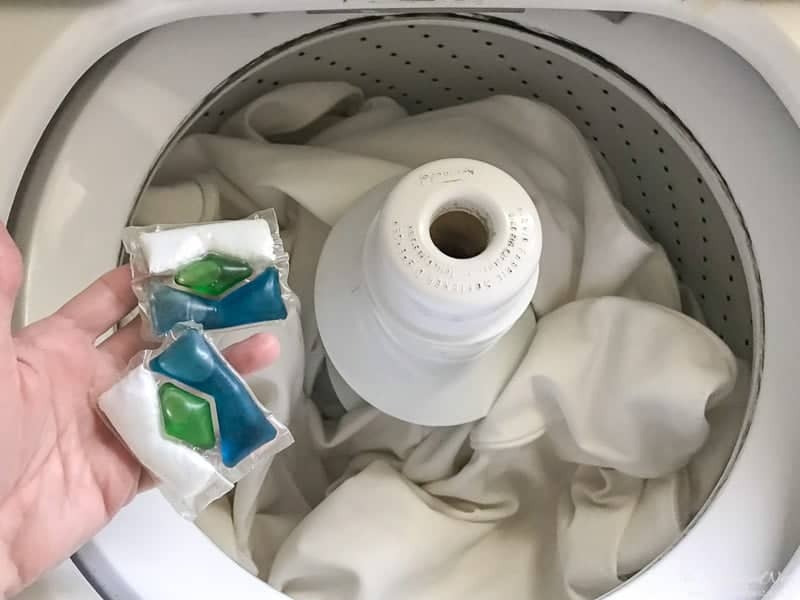 Reading your post and seeing how well they come out after laundering is making me wonder if it could be manageable after all. Spot treatment sounds essential, and I can line-dry in the sunnier months – and I vac and brush away pet fluff for England as it is, anyway! 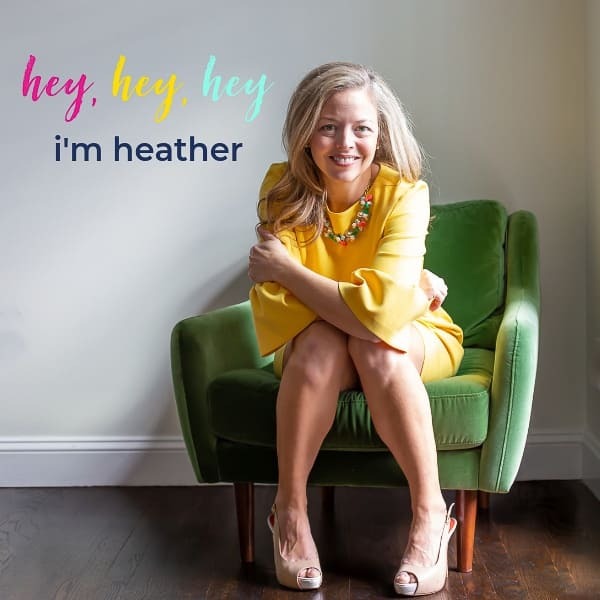 You’ve given me food for thought – now I just have to convince hubs!